The Golden Globe nominations came out today, and that was really the only surprising thing about them. Seriously, the nominations themselves are pretty much what you’d expect them to be, but did anyone know that the announcement was going to happen today? I didn’t. Let’s all be honest with each other. The only reason anyone cares about the Globes is because they offer some indication of what might happen at the Oscars. Otherwise, they bear little value. They try to keep things a little fresh by dividing the Best Picture, Actor, and Actress categories by genre—one for drama and one for musical/comedy, because those are the only genres. 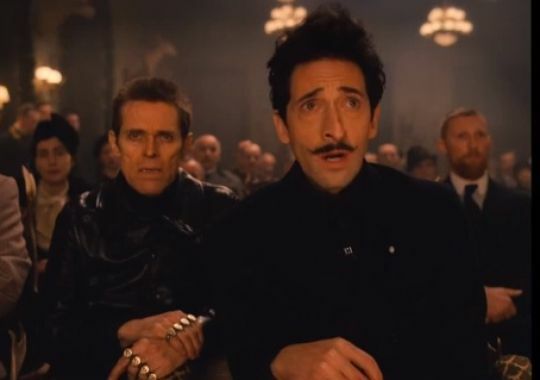 This convolutes their indicative capabilities, however, since they feel obligated to recognize ten comedic performances every year and the Academy may acknowledge one. Let’s take a look at all the major categories, shall we? I’m not going to waste my time with the TV awards. 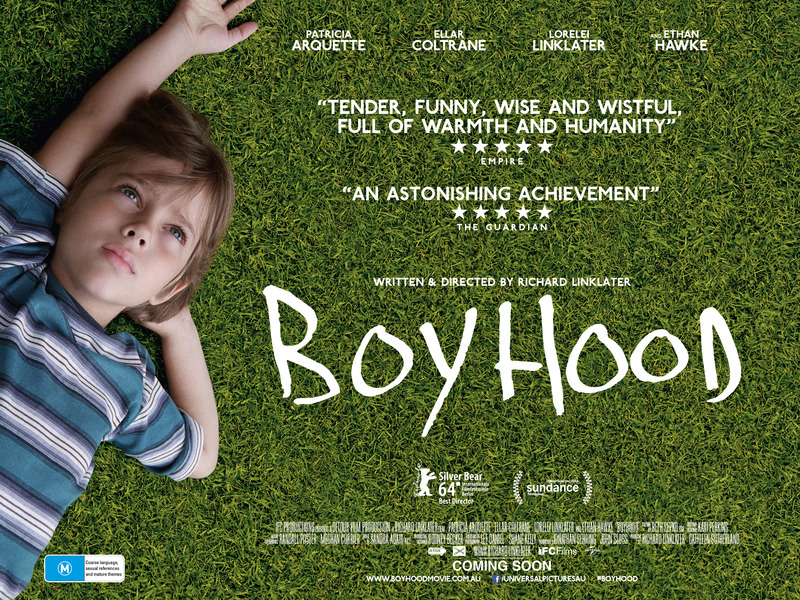 Best Motion Picture – Drama: Boyhood, Selma, The Imitation Game, Foxcatcher, The Theory of Everything. Selma’s perhaps a bit of a surprise there. The Martin Luther King Jr. biopic is slated for release early next year, so few people have actually seen it yet. Early reviews have it testing well with critics, but appealing less to wider audiences. The other four are the obvious choices. It will be interesting if Boyhood can regain some momentum and overtake its based-on-a-true-story competitors. What a world we live in when one of the Best Picture nominees is an original story. Best Motion Picture – Musical or Comedy: Birdman, The Grand Budapest Hotel, St. Vincent, Into the Woods, Pride. See what I mean in saying that the Academy doesn’t bother with comedies in quite the same way? It’d be nice if The Grand Budapest Hotel got some recognition, but the others won’t, with the exception of Birdman. I find it very puzzling that the Globes are treating Birdman as a comedy. That decision really upsets Best Picture predictions. Obviously, it will win this award, but when placed alongside the Drama nominees for the Oscars, it’ll be interesting to see if it holds its own. Best Leading Actor – Drama: Steve Carell for Foxcatcher, Benedict Cumberbatch for The Imitation Game, Jake Gyllenhaal for Nightcrawler, Eddie Redmayne for The Theory of Everything, David Oyelowo for Selma. One of these gentlemen will lose their Oscar bid to Michael Keaton. The only interesting thing about this category will be whether or not Cumberbatch can beat out Carell. If he does, then he still has a shot at beating Keaton. Otherwise, I’d put Keaton in the lead for the Oscar. Best Leading Actress – Drama: Jennifer Aniston for Cake, Julianne Moore for Still Alice, Rosamund Pike for Gone Girl, Reese Witherspoon for Wild, Felicity Jones for The Theory of Everything. I’d be surprised if Julianne Moore didn’t win. Again, the interesting thing will be when the Oscars combine the nominees and we see Moore going up against Amy Adams. Who will the Academy feel guiltier about not awarding yet? Best Leading Actor – Musical or Comedy: Michael Keaton for Birdman, Ralph Fiennes for The Grand Budapest Hotel, Christoph Waltz for Big Eyes, Bill Murray for St. Vincent, Joaquin Phoenix for Inherent Vice. Best Leading Actress – Musical or Comedy: Amy Adams for Big Eyes, Emily Blunt for Into the Woods, Julianne Moore for Maps to the Stars, Helen Mirren for The Hundred-Foot Journey, Quvenzhané Wallis for Annie. I should think Amy Adams is the only one getting nominated at the Oscars. 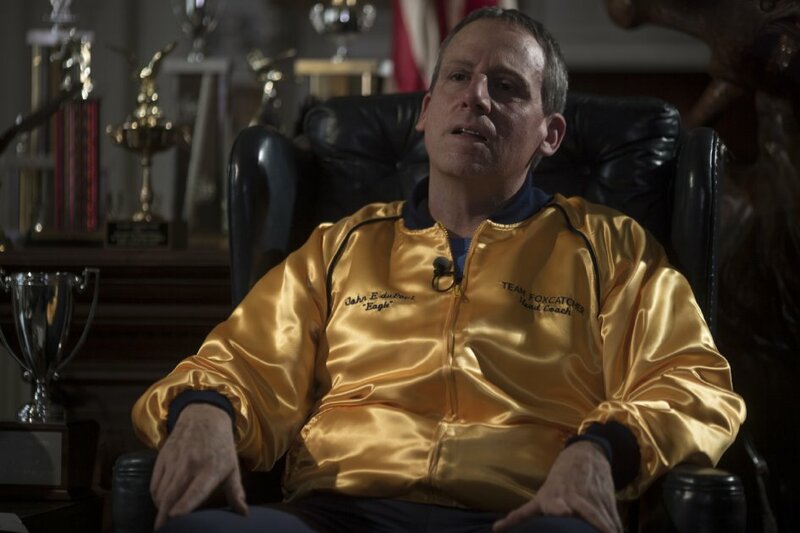 Best Supporting Actor: Mark Ruffalo for Foxcatcher, Ethan Hawke for Boyhood, J.K. Simmons for Whiplash, Robert Duvall for The Judge, Edward Norton for Birdman. Best Supporting Actress: Patricia Arquette for Boyhood, Keira Knightley for The Imitation Game, Emma Stone for Birdman, Meryl Streep for Into the Woods, Jessica Chastain for A Most Violent Year. The first three are shoe-ins, no one would be surprised to see Streep get her obligatory nod, and it’d be really nice to see Chastain get recognized again. Best Director: Alejandro González Iñárritu for Birdman, Richard Linklater for Boyhood, Ava DuVernay for Selma, David Fincher for Gone Girl, Wes Anderson for The Grand Budapest Hotel. Whoops! Someone accidentally mistook Birdman for a well-directed film. That’s embarrassing. I’d expect Iñárritu and Linklater to hang onto their nominations for the Oscars, but would find the others more surprising, especially Wes Anderson. He deserves it, for sure, but that strikes me more as the kind of thing the Academy would overlook. Moving on now, the screenplay nominations are also pretty standard: Boyhood, Birdman, Gone Girl, The Imitation Game, and The Grand Budapest Hotel. Here’s another inconsistency with the Academy, though: the Globes have one screenplay category, and the Oscars split between Adapted and Original. As such, this often isn’t a great indication. Two of these screenplays could potentially win at the Oscars. In the world of music, they’ve nominated the familiarly Oscar-ish scores to The Imitation Game and The Theory of Everything, Birdman’s musical tribute to NPR, the actually good soundtrack to Interstellar, and Gone Girl, by Trent Reznor, everyone’s favorite Trent Reznor. The nominees for Best Song also seem about right, but unfortunately overlook Billy Boyd’s truly lovely song for the upcoming Hobbit disaster. No surprises in Animated Film and Foreign Language Film. Then we’re on to TV, and who really cares? The Golden Globes Awards Show airs in one month, on Sunday, January 11th. The show features Tina Fey and Amy Poehler as hostesses, so will doubtlessly inspire a few laughs, but will otherwise be worth skipping. Wait, is Birdman not a well-directed film? Or is that a joke I missed entirely? Haven’t seen it, so I’m in the blind here. This is was a nice read. I still need to watch a couple more movies. Watching these award shows and the commentaries about the nominees is only interesting once you’ve seen the movie. I’ll def come back and read this again after I’ve seen all the movies.